The study of terpenes in cannabis is seriously taking off! But what exactly are terpenes, and what do you need to know? Terpenes are among the most important organic compounds present on this earth, and their uses are incredibly diverse. Almost all plants produce terpenes or terpenoids in some form or another – and cannabis produces plenty! While terpenes have many biological functions, one of the most instantly recognizable is their ability to express intense aromas and flavors. They are fundamental to the floral, fruity and spicy fragrances in plants and flowers. The aromatic terpenes in cannabis can be extremely pungent, making it a recognizable plant indeed. It’s no wonder that strains of cannabis have names like Skunk, Cheese, Grapefruit and so on. Furthermore, cannabis is very creative when it comes to combining these terpenes to create new aromas. Many flowering plants, such as roses, generally smell similar – but cannabis can produce an incredible diversity of fragrances, from fruity and flowery through to spicy, earthy and even chemical. All of these unique and diverse aromas are primarily made up of different combinations of these fascinating molecules – the terpenes. Terpenes are a huge class of organic compounds. 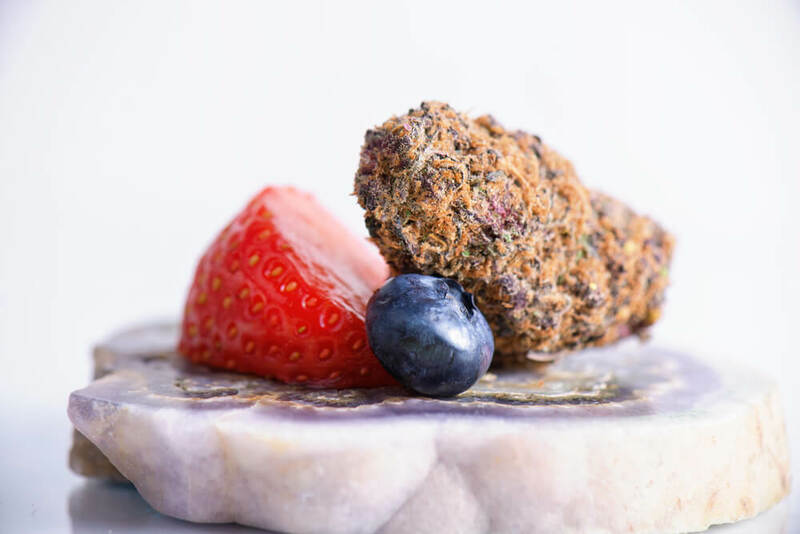 When added together with the terpenoids, which are very similar to terpenes and fulfill many similar biological functions, they are the single largest class of naturally-occurring molecule! Terpenes and terpenoids are also quite similar to cannabinoids. Cannabinoids are sometimes referred to as “terpenophenolic” compounds. 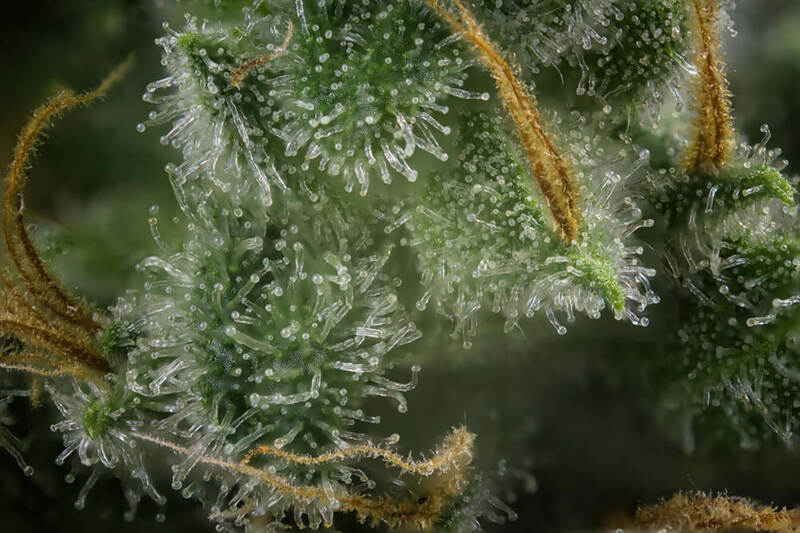 What’s more, there’s a specific part of the cannabis plant that’s responsible for creating both cannabinoids and terpenes – the trichomes. 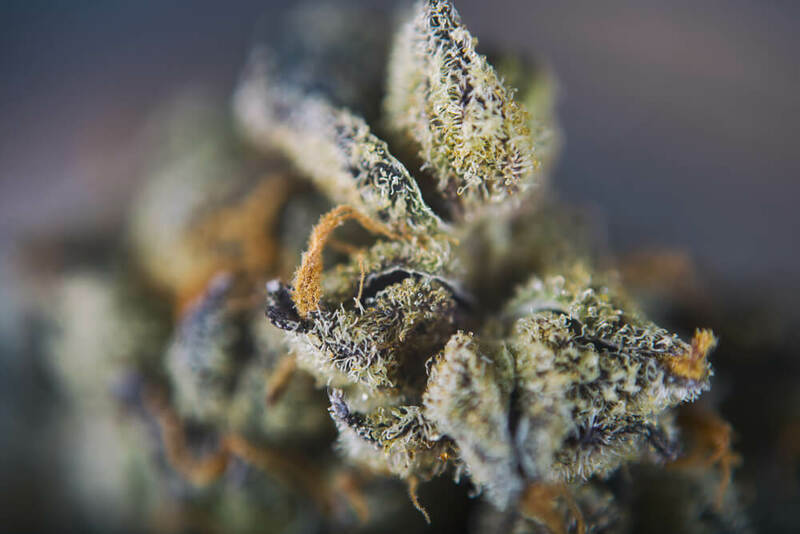 We still have a lot to learn about the mechanisms cannabis uses to create these substances – but generally, plants that produce abundant, resin-filled trichomes should be high in both cannabinoids and terpenes. If you want to learn more about maximizing terpenes when cultivating cannabis, take a look at our articles How To Maximize Your Terpenes – The Basic Steps for general information and How To Maximize Your Terpenes – The Advanced Tweaks for some interesting techniques for skilled growers to try! Terpenes have a basic molecular structure, which is always a multiple of a basic molecular “building block” that is ubiquitous in the plant kingdom. This “building block” is isoprene, which has the structure C5H8 – five carbon atoms and eight hydrogen atoms per molecule. Monoterpenes, Sesquiterpenes – What Do These Terms Mean? There are various “groups” of terpenes, which are organized according to how many isoprene units they contain. Isoprene itself is often considered a “hemiterpene” – basically “half a terpene”. When you put two isoprene units together, you get the first group of “true” terpenes. These are the monoterpenes, and they all have the molecular formula C10H16. There are many different monoterpenes with different aromas, flavors and properties – the only thing that distinguishes them is that their atoms arrange themselves in subtly different ways! Next, there are other groups of terpenes that contain a higher number of isoprene units. Sesquiterpenes are the next group – they have three isoprene units, and the formula C15H24. There are also diterpenes, sesterterpenes, triterpenes, and so on, all with increasing multiples of isoprene units. But as monoterpenes and sesquiterpenes are by far the most abundant types of terpenes in cannabis, that’s what we’ll focus on in this article. So What About Terpenoids? How Do They Fit In? Of course, we can’t go forward without quickly bringing you up to date on what terpenoids are. While terpenes themselves are simple hydrocarbons, terpenoids may contain oxygen, phosphorus or various other atoms within their molecules. However, they are based on the same concept of repeating isoprene units – and just like we have monoterpenes, sesquiterpenes and so on, we also have monoterpenoids, sesquiterpenoids and so on! Aside From Pretty Smells, What’s the Big Deal? Terpenes and terpenoids are much, much more than appealing fragrances and flavors. Dozens of scientific studies testify as to the various medicinal, biological and industrial potential of these simple compounds. Of course, the industries that make the most use of terpenes are perfumery and food flavoring. Terpenes are also useful as cleaning agents and solvents, due to their ability to dissolve grease and oil. They are also useful as pesticides – which makes sense, as one of their primary functions in plants is pest defense. But it’s the medicinal potential of terpenes that’s causing all the excitement right now. Terpenes may have antibacterial, anti-inflammatory, anti-anxiety, sedative, relaxant, or even anti-cancer effects! What’s more, in combination with cannabinoids –compounds that are highly medicinally active too – their effects may be boosted in various intriguing ways. Interacts with the CB2 receptor and is classed as a cannabinoid! As you see, terpenes have multiple medicinal uses. But what’s exciting right now is the possibility that terpenes and cannabinoids could interact together to supply enhanced effects. Companies like Eybna, an Israeli startup specializing in terpenes in cannabis, are hard at work looking into these interactions and what they could mean for medical science. Myrcene is present in many varieties of cannabis that we traditionally call “indica” – the wide-leaved biotype that originates in the mountainous uplands of Afghanistan, Pakistan and parts of other nearby countries. For years, it was thought that the higher percentage of CBD often found in these strains was the cause of their famously sedative, “couch-lock” effect. However, it turns out that that the compound these varieties have in common is not CBD, but myrcene! This monoterpene interacts with THC to produce an effect profoundly different than the strong, uplifting sensation caused by pure THC. It’s not known exactly how this takes place, but the more we learn, the more we are finding that terpenoids can have some surprising effects on the endocannabinoid system. Beta-caryophyllene is another important terpene – this time a sesquiterpene – present in many varieties of cannabis. Famously, it produces the compound detected by drug-sniffing dogs, caryophyllene oxide, on contact with air. Scientists now know that caryophyllene also acts directly on the CB2 receptor, one of the central receptors of the endocannabinoid system. The CB2 receptors have essential roles in regulating the immune and gastrointestinal systems, and also help control mood, sleep and other fundamental processes. Researchers now think that caryophyllene can have profound effects on anxiety and depression, among other things. The science of terpenes in cannabis is in its infancy, and as research intensifies, we are likely to find a vast range of as-yet-known interactions between terpenes, cannabinoids and the signaling systems of the human body.